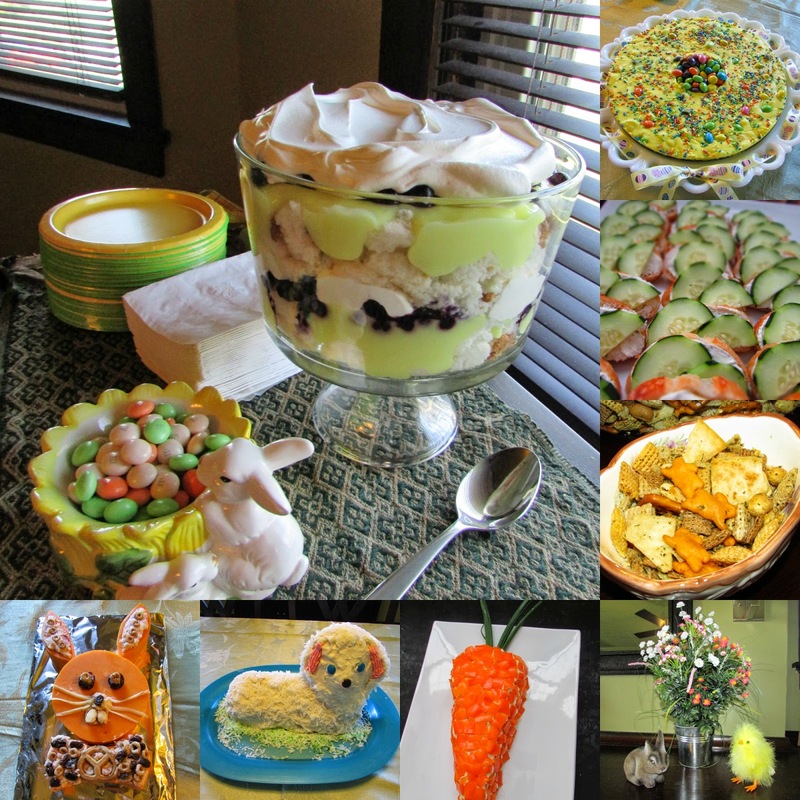 This year we thought it would be fun to host an Easter open house on the day before Easter. It was a fun way to get together with some family and friends and finally put our new buffet to the test. It turns out it is big... but not quite big enough for one of our parties! We maxed out the old buffet, the new buffet and the kitchen counters. If anybody went home less than super full, they didn't try hard enough. I thought it would be fun to go ahead and post some pictures so you could see the fun. I will go back and add links as I get all of the recipes posted! I hope everyone has a wonderful Easter. I promise we had people too. I seem to have a bad habit of putting the camera down when the people arrive, so I never get good pictures of the actual party. At least I took some before pictures this time. Some of my favorite parties have no photos. Maybe that is just as well, the memories might be better! We had a lot of fun! The buffet is new, so we were excited to give it a try. It was hard to find one as big as we wanted, and now I am thinking we should have tried to find one a bit bigger!! I hope you had a great Easter as well. Sounds like you had a nice Easter. Thank you for coming to the Inspire Me Monday Linky party on Monday. I'm Janice, one of your hostesses. We had a lot of fun! I hope you had a nice Easter as well.